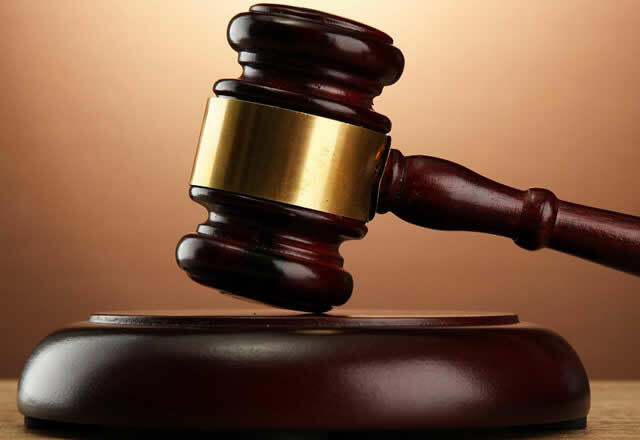 Five men arraigned for unlawful possessions of firearms - BlogIT with OLIVIA!!! Makurdi Magistrates’ Court on Tuesday remanded five men in prison custody for conspiracy and unlawful possession of firearms. The defendants, Henry Agene, Samuel Orne, Alabar Simon, Terzungwe Tyonginengen and Aondohemba Ahungwaor, all of Vandeikya Local Government Area, Benue, were arrested following a tip-off on March 18. The Prosecutor, Cpl. Adama Owochio, said that they were arrested by the Operation Zenda surveillance team led by Insp. Philip Yankyaa. Owochio said that the team was on a special duty at Vandeikya with some youth that were granted amnesty by the Benue government. He said the team received information that the defendants were in a hideout at Mbarumum village in Kwande manufacturing, selling arms and ammunition. The team arrested the defendants and also recovered one locally made AK47 rifle, two locally made pistol, four dane guns, live ammunition, seven empty magazines, 25 cartridges, and one long sword. He added that seven pipes, three unfinished pistols, one 9.mm live ammunition, one gas cylinder, one show generator and one unfinished double barrel gun were found in their possession. During police investigation the defendants confessed committing the crime with other members of the syndicate who were still at large. When the case came up for mention their plea were not taken. The Prosecution said investigation was ongoing and prayed the court for another date for mention. He said the offence contravened Section 1(1) and 1(2) of Robbery and Firearms (special provision) Act Cap RII Laws of the Federation of Nigeria 2004. The Magistrate, Mrs Franca Yuwa, adjourned the case till April 19 for further mention.